Nha Trang Poker Club (reopening soon). Gambling is restricted in Vietnam. A government resolution allows Vietnamese aged 21 or older with a good legal and financial record to enter casinos from December 2017, but they are limited to a number of places. Moreover, Vietnamese are also allowed to play the lottery or bet at the horse racing track in Ho Chi Minh City. Poker is legal in Vietnam. The Ministry of Home Affairs has licensed a Bridge and Poker Association, and many cities and provinces have established their own clubs. But in this context, Poker Cash Games are generally prohibited. However, many Poker rooms have opened in recent years in Vietnam, basing their business model on tournaments. 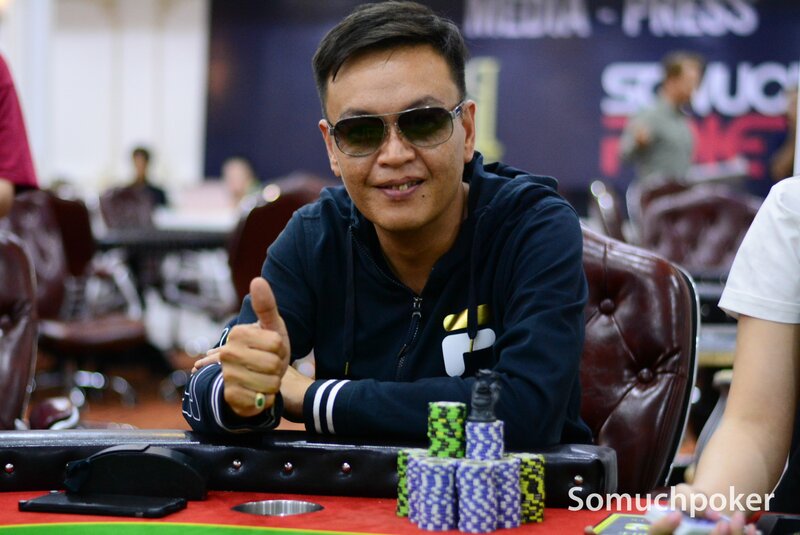 Vietnam has produced a very nice roster of Viet Kieu professional poker players (Vietnamese descent but born or lived overseas) such as Scotty Nguyen, Men “The Master” Nguyen, as well as others, including a lot of good online players as well. The laws of Vietnam are based upon the stakes (Article 248 and 249 of the Penal Code), with the first level concerning very small stakes and social gambling, which involves a small fine and being essentially put on probation. Being caught winning or losing between 2 million and 50 million VND (about $90 to about $2200) involves a more serious crime, where the fines go up, the probation is longer, and there is also a risk of jail time. Those sentenced to this must report to the relevant authorities as instructed. They must also remain in their district and report any change of residence and employment. The third level is for those who have won or lost over 50 million VND (about $2200). There is a minimum three years in prison for this one which can be extended to up to 7 years, in addition to being fined (3 million to 30 million Dong). This also applies if you are a professional gambler or have been found to be operating a gambling establishment. Then again, those apply to Cash Games. 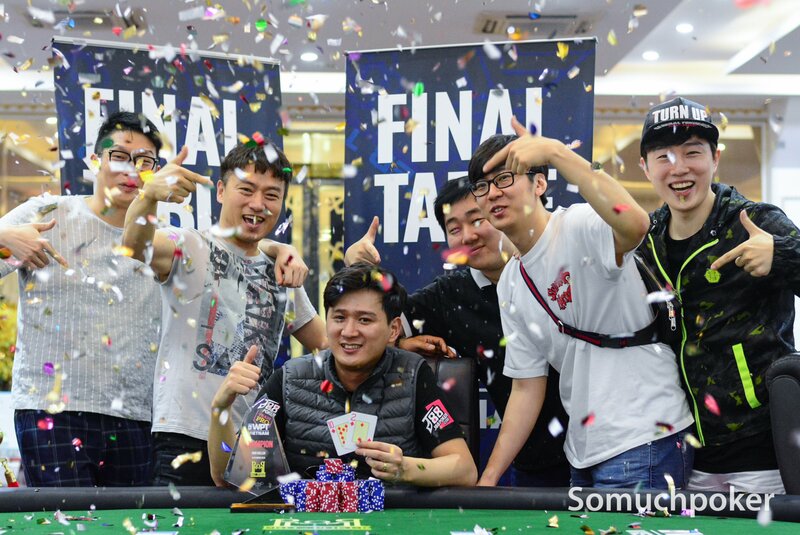 More and more tournaments are taking place on a daily basis in Vietnam, especially in its major Cities: Ho Chi Minh City, Hanoi, Da Nang, Nha Trang… not mentioning international competitions such as the APT, the APL and the WPT, where locals can participate. You can now find live Poker in Poker Rooms & Clubs throughout the country, but mostly in tournament forms. Cash Games are available in Nha Trang as it is a tourist destination; however, it remains illegal in the rest of the country. Clubs that do not respect this rule face serious consequences; with some having been raided by the police, catching both foreigners and nationals red-handed. The same goes for the many private games taking place in Vietnam. Some look like real casinos, raking in thousands of dollars per week, but they eventually get busted. Currently, the biggest events mainly took place in Ho Chi Minh City at the Pro Poker Club. Many other clubs offer an interesting choice of tables and tournament formats, often with free rolls and overlays to attract a new public. 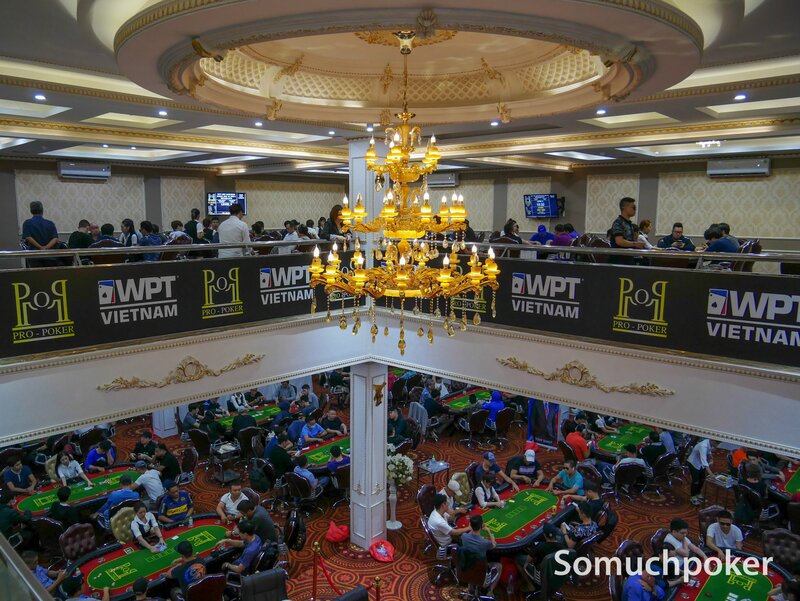 One of the most prestigious Poker clubs in Vietnam, and the host venue for most major international tournaments. 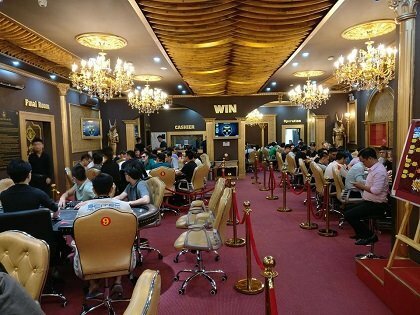 The Crown Poker Club has opened its door in 2018 in the city center of Hanoï. The Diamond Bridge & Poker Club is located in the 3rd largest city of Vietnam, Hai Phong. The club offers tournaments on a daily basis in the District 2 of Ho Chi Minh City. It is opened since 2018 and popular amongst expatriates. Khanh Pokerface Poker Club is located in the district 7 of Ho Chi Minh City. Tournaments in many formats and satellites for major events held in Macau and Manila. Located 70km North of Hanoï in the City of Thai Nguyen. It reopened in August 2018. Located in the District 1 of Ho Chi Minh City. It offers a large quantity of tournaments. You can find VStar Bridge & Poker Club in the city of Hanoi. It has one of the nicest poker rooms in Vietnam thanks to a stunning view to the ocean below. The club places emphasis on offering big guaranteed tournaments. Gambling in Vietnam is restricted but not completely outlawed. There are no IPs blocked for Online Poker in Vietnam. You have access to all major poker sites. However, restrictions on deposits from local banks or with local credit card can exist. It is then harder to move money in and out of online poker sites. That being said, there are a couple of Vietnamese online wallets that can be used (Baokim, EntroPay, Skrill…). 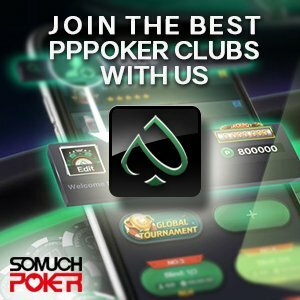 There are even Vietnamese online poker websites such as ThanPoker that operate who have partnerships with the largest Vietnamese banks: Asia Commercial Bank (ACB), Sacombank, DongABank, Vietinbank and Vietcombank. Learn everything about playing Live and Online Poker in Vietnam: history and legal environment + tips on the Best Websites and Poker Rooms / Casinos.